Two different parts of Carnival Corp & plc are taking totally opposite actions in the UK market this month. While Costa Cruises has announced that it is ruthlessly cutting travel agents out of its UK marketing formula, Cunard Line is about to be given a degree of independence from big sister P&O Cruises in order to improve its relations with travel agents. Elsewhere, MSC Cruises has announced that it will double its Havana-based fleet in 2016 while Diamond Cruise is set to introduce a former Celestyal ship on cruises out of Shanghai. UK Distribution: Costa Direct & an Independent Cunard? The trade press has recently carried a number of reports that Costa Cruises has decided, from February 15, 2016, to cut out UK travel agents and go direct to the public in that market. 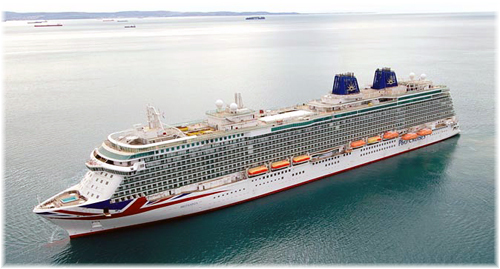 The Italian unit of Carnival Corporation & plc has decided to take UK bookings only through its website and call centre, both managed from Genoa, and has also let go of its last remaining UK employee. This is a far cry from the 1980s when the Italian line had an office in London’s prestigious Regent Street and more recent years when it operated ships from UK ports. This had started when they assigned the 772-berth Enrico Costa to sail from Southampton in 1992 and finished with several seasons at Dover and Southampton with newer ships. But Costa eventually abandoned ex-UK cruising in favour of other brands in the Carnival stable. Costa said that the decision to sell direct to the public had been made “in response to current and anticipated shifts in the UK consumer market, including the digitisation of travel sales,” and added that this was only being done in the UK. Although Costa, along with MSC Cruises, has been known in the UK market as a low-cost product, MSC Cruises still maintains a strong UK office and presence in the market. Costa’s UK operations have been transferred to a “dedicated team” based in Costa’s head office in Genoa. There is nothing new in this of course except that UK travel agents are being cut out of the equation. 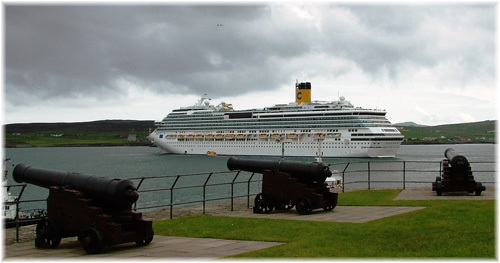 Costa moved its UK bookings to Genoa as long ago as 2011, even before the loss of the Costa Concordia. It later did the same thing with Spanish subsidiary Iberocruceros, moving its bookings from Madrid to Genoa before closing it down completely earlier this year. Travel agents bookings for 2016 will not be affected and they will continue to be managed by the agencies who booked them, along with the support of Costa Cruises’ UK team in Genoa. The trade was not consulted on Costa’s decision but Costa’s largest-selling agent in the UK, Swansea-based Cruise Nation, has said it will appeal the decision. While cruise lines often try to sell direct, and this may have been part of the thinking for the UK commission cuts at P&O, Cunard and Princess in 2012, one has to go back to Renaissance Cruises for a precedent. Back in 1999, Renaissance was actively encouraging clients to book direct, and while not cutting travel agents out completely, placed commission caps on their earnings. For this, it was expelled from the American Society of Travel Agents. Meanwhile, in a different part of Carnival Corp & plc, known as Carnival UK, a decision has been made to set Cunard free of the P&O prison it has been consigned to for the past several years in favour of giving it its own brand independence. Carnival UK is now seeking a separate senior vice-president to head up Cunard Line as a stand-alone brand apart from P&O Cruises, and this may mean that Cunard will be able to set its own rates of commission. As part of P&O’s Complete Cruise Solution, Cunard Line and Princess Cruises UK had to go along with P&O Cruises when it cut commissions from the previous range of 12-15% down to 5% for all, or half the normal commission level, for 2012. The lines lost business as a result. Meanwhile, in what could set a precedent for Cunard Line, Princess Cruises left the Complete Cruise Solution grouping in 2013 and raised its own basic commission paid to agents back up to the usual 10% in 2014. Two years after the commission cuts, in an effort to recoup business lost from agents, Complete Cruise Solution raised commission levels to 7.5%. Although this was a 50% commission increase, it was still far short of the standard travel agent’s commission level that Princess was paying once again. While P&O Cruises is the market leader in the UK, Cunard Line accounts for less than 10% of the UK market and one reason for this latest decision is that it is looking for ways to grow its UK business. UK travel agents who had given up on Cunard Line when it was rolled into P&O Cruises without any consideration for its separate brand identity will almost certainly welcome this most recent news. “Costa is not going direct in the UK,” he said during an earnings call with Wall Street analysts. Agents in the UK currently “do very little business” with Costa, Donald said, but emphasised that they can still book through Genoa. Costa’s last statement could have fooled some. MSC Cruises is to base a second ship in Havana starting next year as it looks to gain a lead in the race for Cuban tourism and build on its investment in new ships. Privately-owned MSC become the first significant cruise line to base a ship in Cuba when it assigned the 1,756-berth MSC Opera, which arrived in Havana for her first cruise on Friday. MSC Opera will sail from Havana on 7-night cruises that stop in Montego Bay in Jamaica, Georgetown in the Cayman Islands and Cozumel, Mexico. MSC has now said that after experiencing high levels of demand from Europe and Canada it will send a second ship, MSC Opera’s sister ship MSC Armonia, to Havana in 2016-17. “There was such a good response, especially – and this surprised us – from many European markets,” Gianni Onorato, chief executive of MSC Cruises told The Financial Times. Onorato said conversations with the Cuban authorities began in January and plans for the second ship received a boost when Matteo Renzi, Italy’s prime minister visited Cuba in October. MSC Armonia will sail for Roatan in Honduras, Belize City, Costa Maya, in Mexico, and a Cuban beach experience on Isla de la Juventud, before returning to Havana. 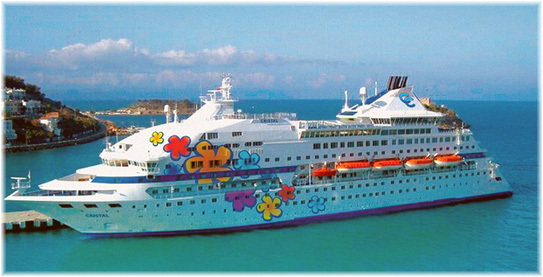 American-based cruise lines are still subject to US restrictions that limit travel to licensed volunteer programs, although Carnival Corp & plc, through its new Fathom brand, has received approval from the US government to send the 710-berth Adonia from Miami to Havana, with a product that combines social work and travel. Fathom is now awaiting final approval from the Cuban authorities. MSC Opera and MSC Armonia are part of a quartet of cruise ships that was recently refurbished at Palermo as part of MSC’s €200 million Renaissance Program to lengthen and add more balconies to these four ships. 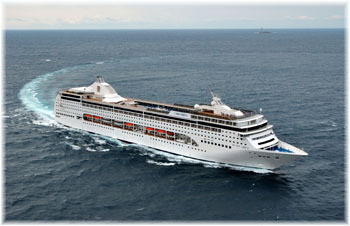 A third of this quartet, MSC Lirica, will also become a pathfinder for new markets when she sets sail for Shanghai. From May 2016, the MSC Lirica will serve the China market beginning in a new partnership between MSC and CAISSA Touristic Group, China’s main outbound tourism service provider. The MSC Opera arrived in Havana on Friday, December 18, the same day the 966-berth Celestyal Crystal sailed from Montego Bay on her maiden departure for the 2015-16 season. 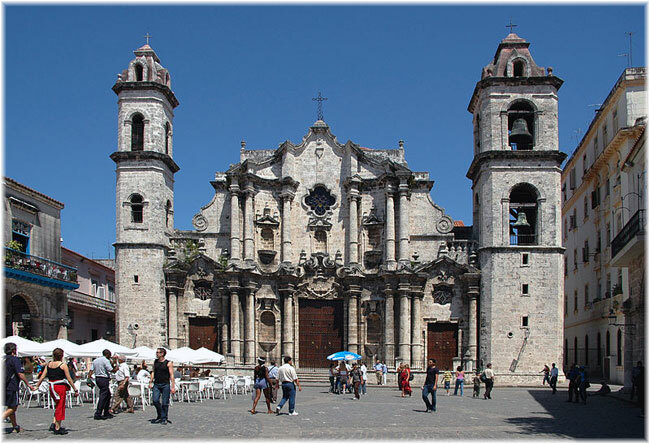 Now in her third season of 7-night round Cuba cruises from Havana for Cuba Cruise, the Celestyal Crystal sails from Havana on Mondays, while MSC Opera departs on Tuesdays. Diamond Cruise International Co Ltd has announced that its new ship, the 836-berth Brilliant of the Seas, is the former Celestyal Odyssey. Built in 2001 as Olympic Explorer, the ship was acquired in late October. Diamond Cruise, formed this July, is a Bahamian subsidiary of China’s Suzhou Taihu International Travel Ltd, based in what was once Soochow, sixty miles north of Shanghai. The former Celestyal Odyssey, which is being replaced in the Celstyal Cruises fleet by the 800-berth Celestyal Nefeli, is now undergoing a refit in Shanghai that will add two decks to her profile. It is planned that she will begin cruising from Shanghai in March. 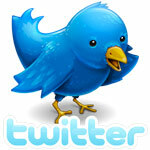 There is uncertainty, however, over the name. Brilliant of the Seas is far too close to the name of Royal Caribbean’s own 2,112-berth cruise ship Brilliance of the Seas to see them stand by without taking some sort of action. So it is supposed that another name (or perhaps another translation of a Chinese name) will be chosen before she actually enters service. Diamond Cruise is reported to be looking to acquire a further three or four ships over the next five years in an effort to stake out its position in the fast-moving Chinese cruise market. Sister ship Voyager is now operating for Bohai Cruise as the China Taishan but has entered service in her original condition, without the addition of two extra decks.